A residence with swimming pool in Cala Liberotto. The Residence Sos Alinos is formed by two bodies which converge in the room, and covered galleries. 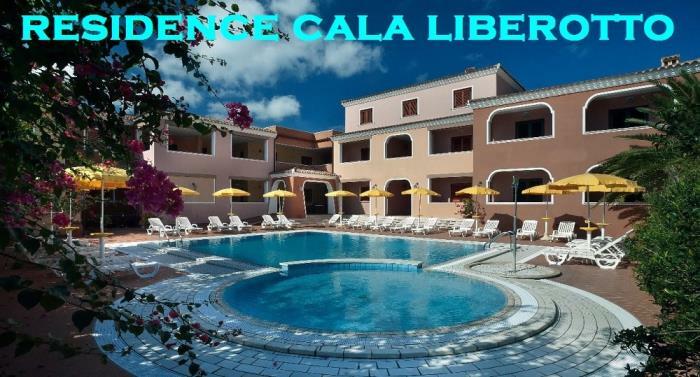 In the middle of a beautiful swimming pool for adults and children equipped with parasols and sun loungers and overlooked by holiday apartments are stylish with all the amenities. 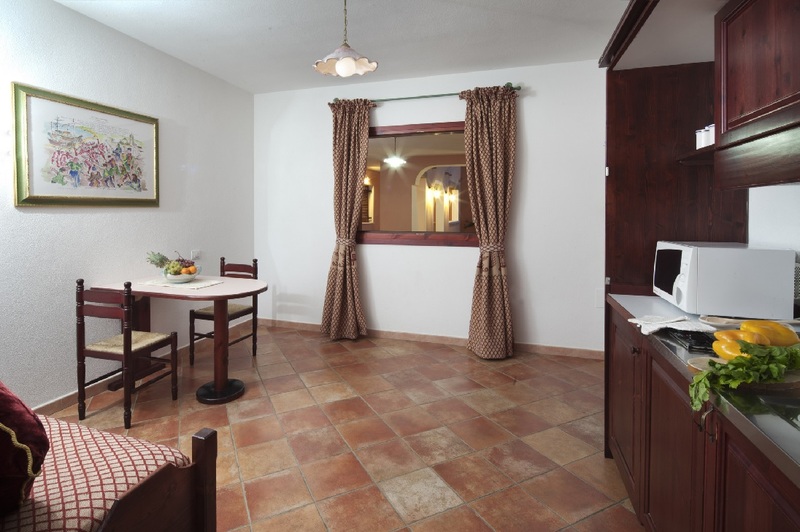 The Studio apartments 1 single room are furnished with sardinian style with air conditioning on request, heating and a safe. Equipped Kitchenette with hot plates and micro wave. Studio consists of a bedroom with a double bed and two single beds. Most have a veranda with tables and chairs or a balcony with a clothes-horse. Apartments equipped with all the amenities, hairdryer, bath or shower, and bed linen and towels included. From the beaches of Cala Ginepro and Cala Liberotto Marina di Orosei with 25 km of coastline, the Orosei coast extends from Osala beach to Bidderos beach. Passing next to Cala Ginepro beach, Cala Liberotto Sa Mattanosa and Fuile e Mare. The sauce of Alinos and the seaside resorts of Cala Liberotto Cala juniper, are charming. The coast of Orosei is characterized by fine sand, clean water below the sea floor of pink granite rocks. Cala Juniper is characterized by a pine forest of juniper. Naturalist sites include the Bidderos park and Sa Curcurica pond, where mountains, valleys, lakes, beaches and the sea combine in a very nice environment. Cala Liberotto beach along the 125 national road to Orosei reaches the Cala Liberotto beach with its shallow, shallow sandy beaches. Before reaching the islet that separates it from Cala Ginepro, the beach allows bathers and tourists a hundred meters of beach, which overlooks the thick pine forest. Oasis bidderosa together. White sand and clear water Berchida beach is one of the most beautiful beaches in Sardinia. One of the most wild and unspoilt, and in some periods of the year when the sea joins the mouth, takes on an Atlantic figure.